Home > Books & DVDs > Book, "Fly Fishing Great Waters"
Herein lies the legacy of a man who has done, and is still doing, what many dream of and very few experience. 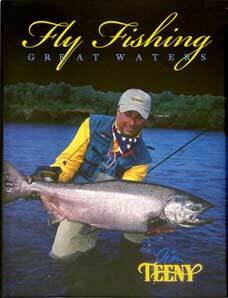 Jim’s hard bound book takes you on the fly fishing journey of a lifetime. The photography, stories and world record catches are sure to captivate the biggest enthusiast. This beautiful, 213 plus page coffee table book with over 400 color photos and stories of Jim’s travels from all over the world is available now.